You’re young. You’re hot. But you’re in need of new specs. Not to worry gal pals…the latest frames from Humphrey’s Eyewear will only pump up your oh-so-chic look, without cramping your style! 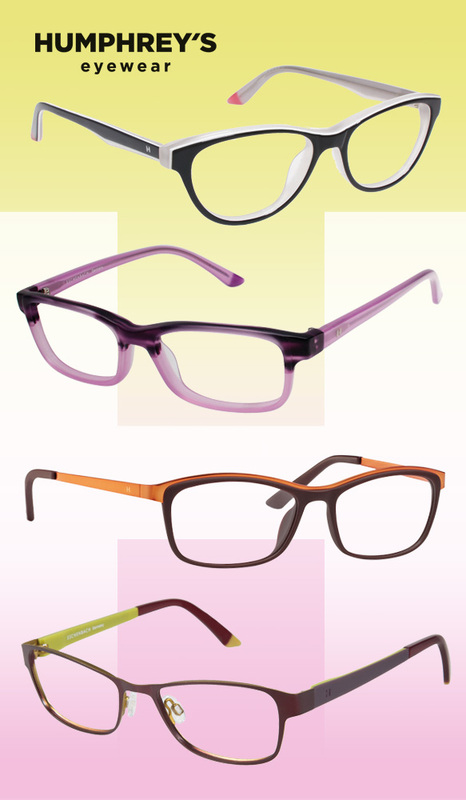 Featuring flirty silhouettes and bright colors, these glasses will instantly make you feel fabulously fresh! Come on, what youthful babe wouldn’t want that?! Demure cat-eye and sleek rectangular profiles are given a boost with brow-bar emphasis, two-toned detailing and color blocking. While classic springtime pigments—of playful lavender, citrus orange and apple green, with hints of chocolate brown, black and deep purple—offer up a playful twist to these minimalist, yet spunky, frames. Did these specs spark your attention? We hope so! Get more deets here.